It's true that a large chunk of the appeal here is reliving 'how computing looked when I was a youngster', but there just might be a niche use case for others here. 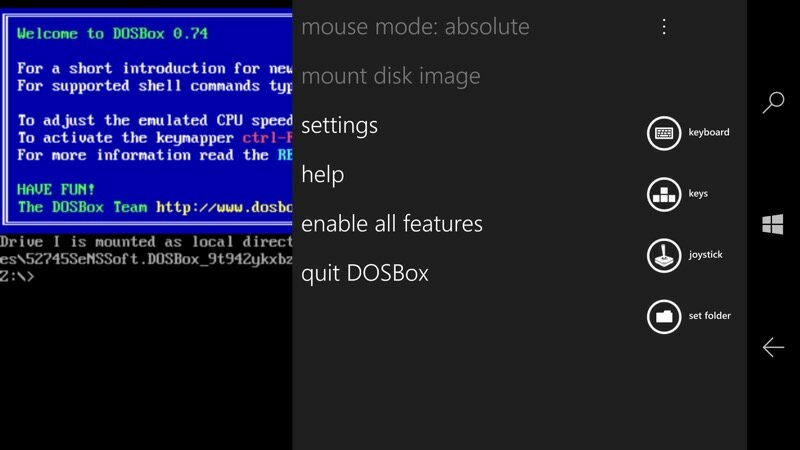 Although DOSBox is styled for Windows Phone 8.1, this version now works fine under Windows 10 Mobile too, so should be universally applicable. Yes, that is a DOS prompt you see before you. Helpfully, the archetypal C: 'drive' is mapped a to a local internal folder on your phone, but don't worry, you don't have to remember or mess with the path shown. I'll come to that in a moment. 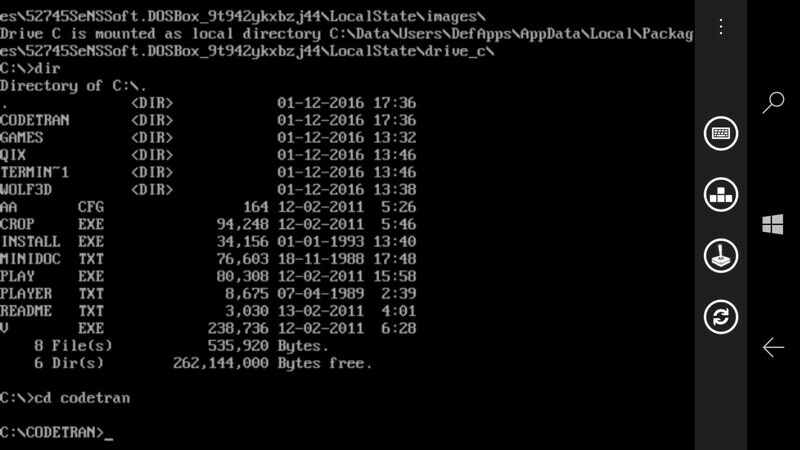 Now, although you could, in theory, find your way to inserting files into the emulated C drive, it's 100 times easier to have any DOS applications in folders on your phone's microSD card. 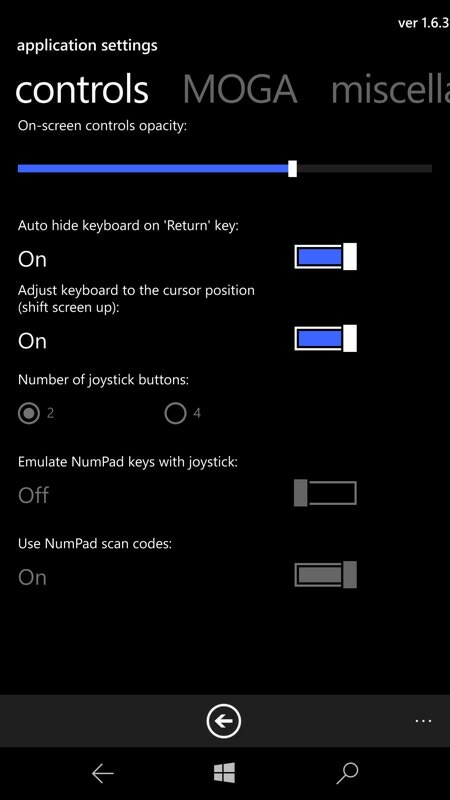 I realise that there are a few Windows Phones without card support, so comments welcome if you're facing that situation - I'm going to assume that you do have a microSD card inserted, as is possibly with the vast majority of modern Windows phones. 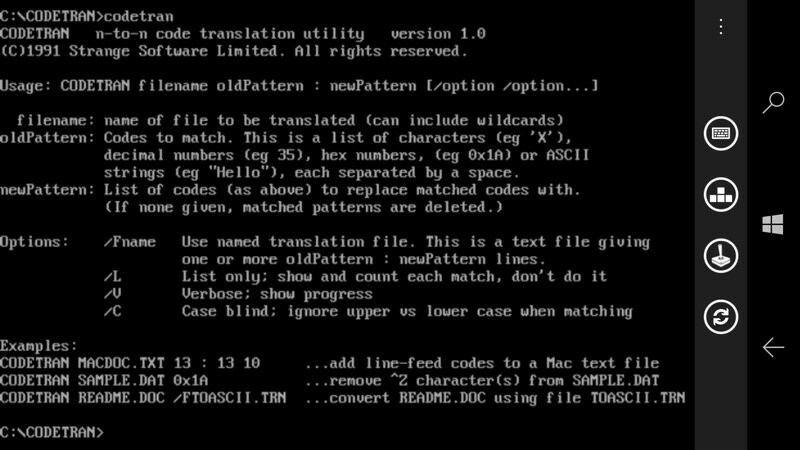 Putting document or indeed any other text or binary files in the same folder would allow me to manipulate them just as I used to (my favourite use was replacing line endings in 'delimited text' files with whatever the destination system or program wanted, along with treating the likes of 'tab' and 'pipe' characters). 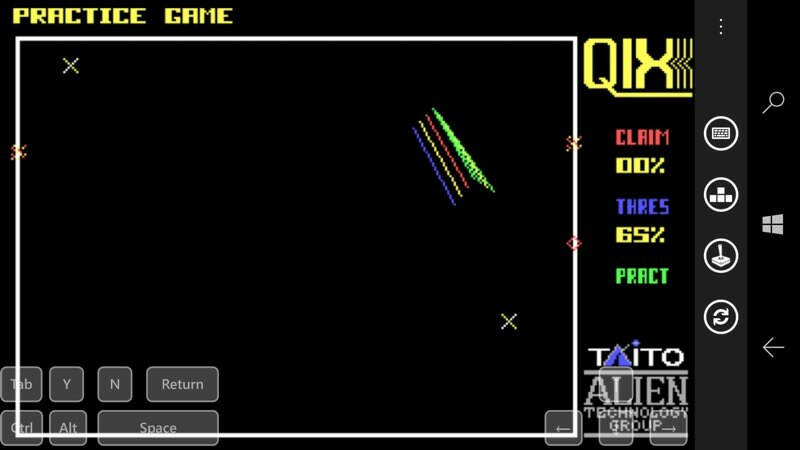 This was all on a HP Elite X3, which is fairly fast, though there are options in DOSBox to adjust the speed of the emulation as needed (usually to help a game be playable). 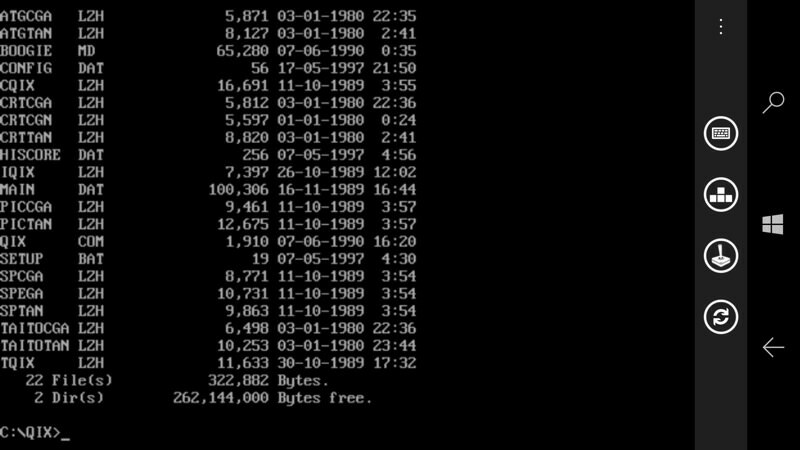 I tried DOSBox with a number of others games and had only a couple of glitches. 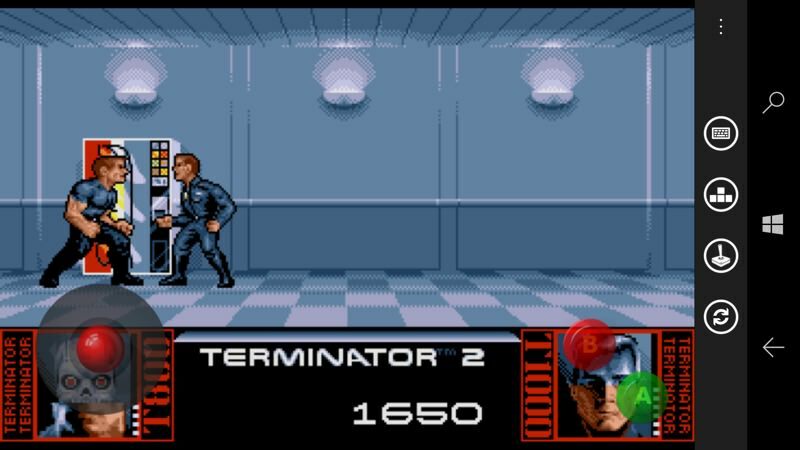 Here's Terminator 2 - not as good as the movie of the same name (obviously), but looking rather more sophisticated than Qix. 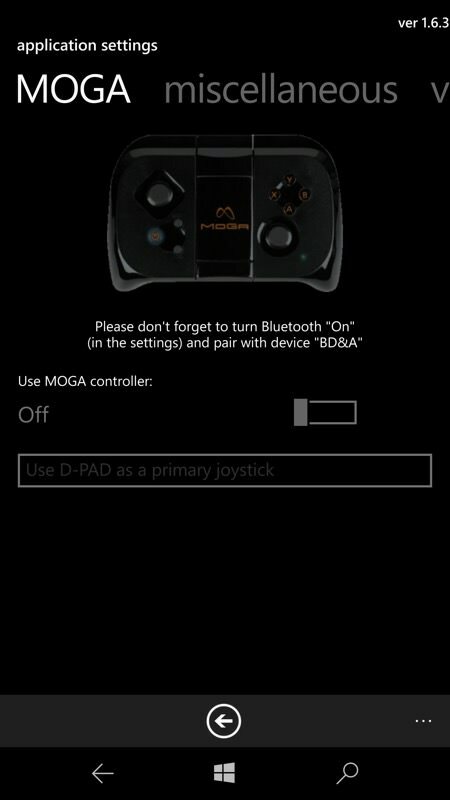 I've also popped up the optional emulated joystick - anyone else remember when joysticks were a 'thing'? 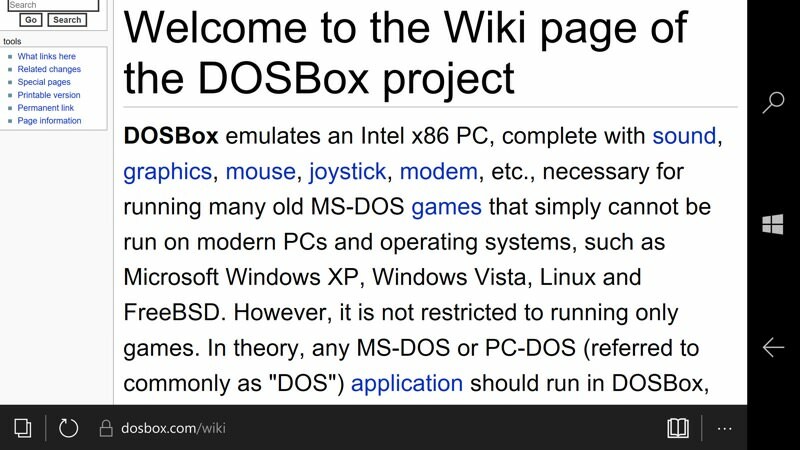 The built-in help facility basically involves linking out to the DOSBox project Wiki, which is absolutely fine and it's handled well in the Edge browser here. 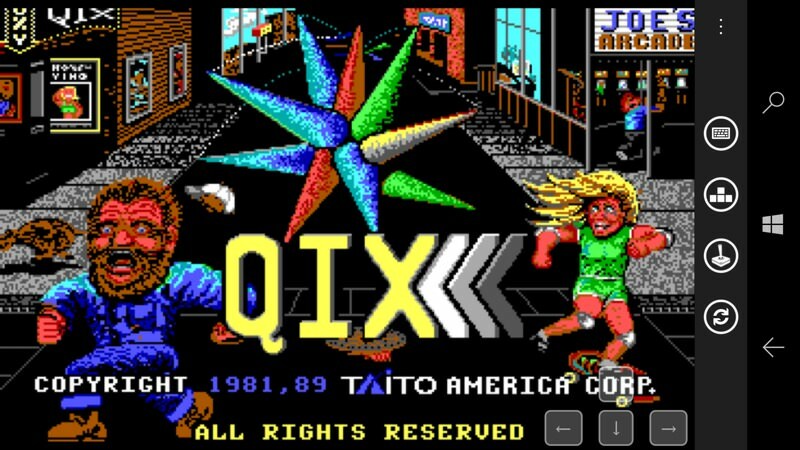 The only real issue I had with DOSBox was when installing a game that wanted me to 'Insert floppy disk 1'! I tried everything I could think of to kick this into using files in the main game folder, to no avail. 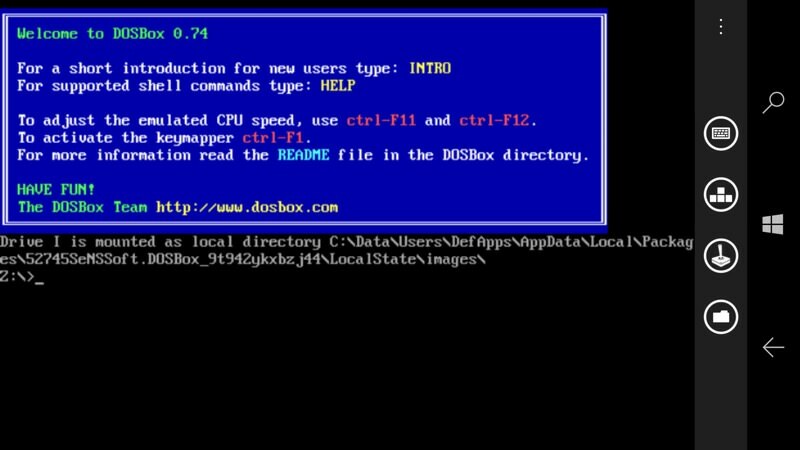 But on the whole I was very impressed by this as a piece of code - DOSBox is beautifully implemented, by the developer of Cast to and other popular Windows Phone applications. Yes, it's a couple of quid to buy but it enables a whole new (if incredibly retro) lease of life for your Windows phone as the host of a virtual 286 or 386 PC. Let your imagination run riot! Well, if you're old enough to remember all this the first time round, anyway!